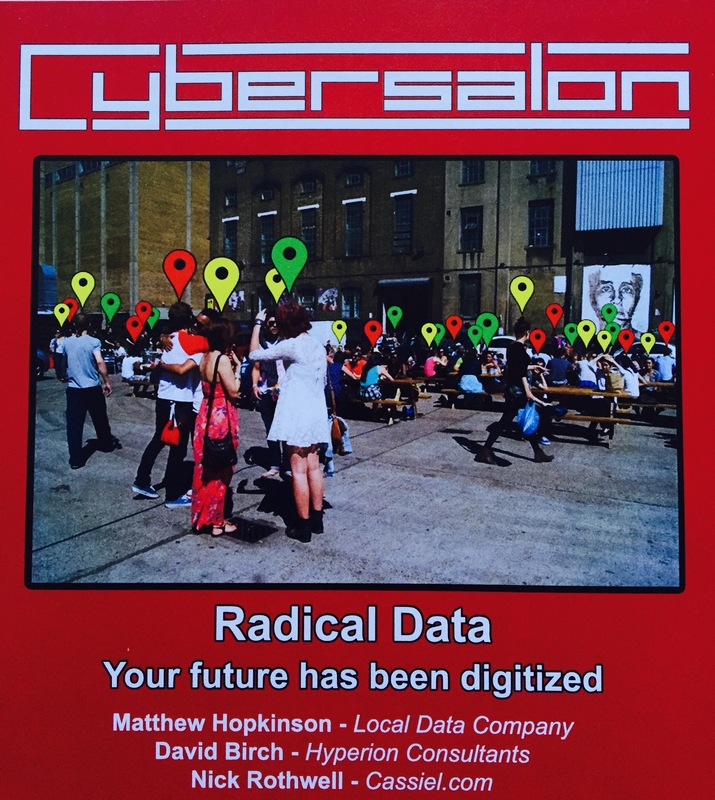 Cybersalon Radical Data is coming on the 12th of October! Meet the speakers, get ready for the debate. Is the hipster coffee culture about to implode? Matthew Hopkinson, the pioneer data scientist for the High Street and UK cities is ringing alarm bells, as urban geo-loc data is becaming a vital tool for understanding our Cities. Read more. Forget cash, it is all about digital money- argues David Birch, author of Identity Is the New Money in The Guardian. However, there is a new issue of surveillance once all transactions are digitised. David is arguing for “Stealth Tokens” to address the privacy concerns. Read more. How safe is Internet Of Things? Simon Troup, lead Data Scientist from Open Sensors.io will show how IoT data are improving urban living, but also raise cybersecurity challenges yet to be tackled. Nick Rothwell – a digital artist will explore use of data visualisations and making the invisible visible (cassiel.com) and discuss if data visualisation means democratisation or more power to those with data sets and tools? During the break we will showcase 3 prototypes for using data tools to support solutions for the refugee crisis from recent hackathons in Athens (Hybrid Cities, Athens University) and London (TechFugees organised by @MikeButcher). Get your tickets here for Radical Data Cybersalon, chaired by David Wood (London Futurists) where Matthew Hopkinson (Local Data Company), David Birch (Hyperion Consulting) and Nick Rothwell (Cassiel.com) will debate the pros and cons for fully digitised urban futures. Next: Reclaim AI – Back-To-The-Humans? Smart City – are we repeating the past?